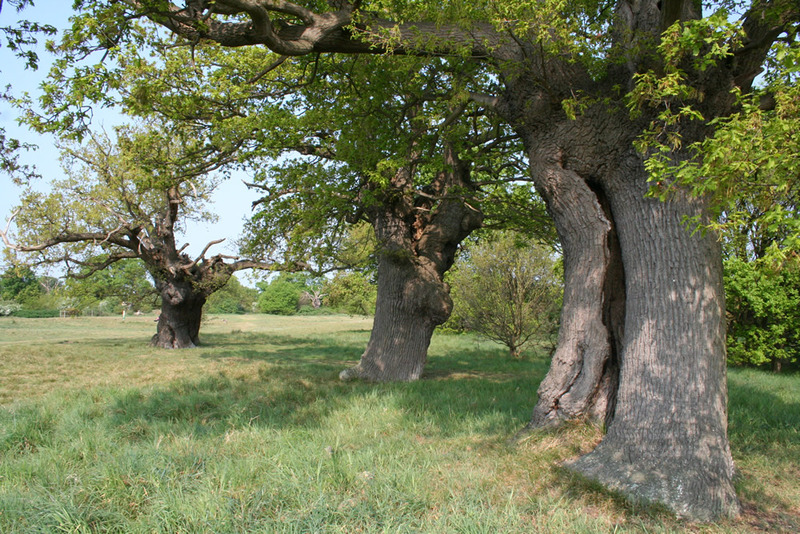 There are around 200 oak pollards on this wood pasture site. The site is managed to conserve the ancient and veteran trees and their biodiversity; trees are retrenchment-pruned, and haloing of other surrounding trees is carried out to give the veterans light and space. Rabbits keep the scrub down, dead trees are left standing, and humps, hollows and other features of the periglacial landscape, all valuable for biodiversity, are retained. A bonus for the aprox 50 people who turned up was the finding of the rare Sandy Stiltball (Battarrea phalloides) growing at the base of a dead, standing Oak tree – this, together with the equally rare Oak Polypore (Buglosoporus quercina) found by Reg Harris last July, should help give this important County Wildlife Site greater importance and protection which until now has only been ‘protected’ by Fields in Trust, a charity set up to protect open spaces for playing sports and recreation in city’s and towns by a ‘Deed of Dedication’. Ironically, it was the creation of the football pitch, changing rooms, and communal bonfire site that has caused immense damage to this medieval site. Note: B. phalloides and B. quercina are 2 of only 4 species of fungi that are fully protected by law against disturbance or destruction in the UK.